Many vegan travelers love to tell you about how tricky it can be to venture around the World and still be able to eat a good vegan meal. Whilst this is true that it can be difficult in many countries to live a good vegan lifestyle, what these people fail to do is extoll the virtues of some countries on Earth where being a vegan is amazing. That’s right, there are some nations on the planet whose daily lives do not revolve around eating meat or animal based products and if you are vegan and wishing to travel with ease when it comes to your food choices then her are my top 5 favorite slices of vegan heaven. 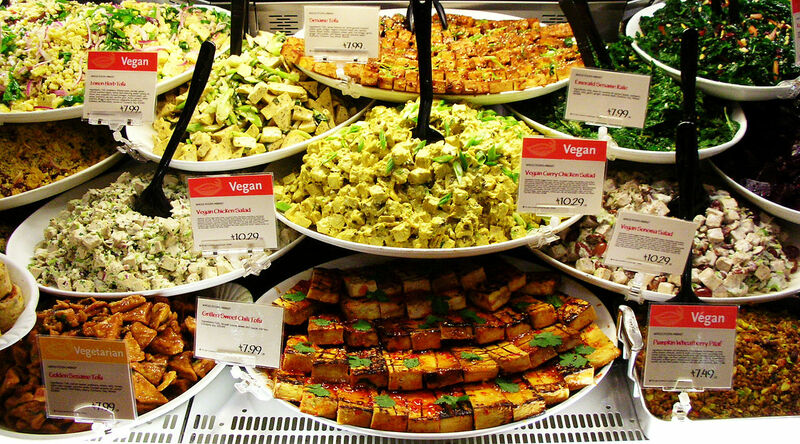 When you have a population of 8 million that has 200,000 vegans, you can pretty much know that you are going to be guarantee a great vegan meal in most places. Tel Aviv has lead the charge in terms of a vegan lifestyle and even Dominos created and launched the first vegan pizza here. Aside from the gorgeous hummus and falafel on offer in Israel there is a huge range of vegan choices from restaurants to street food. Half of the Indian population are vegetarian and in the south of India, butter and cream are used very sparingly in their cooking. This means a world of Saag, Dal, Chana Masala and a whole range of lentils, beans and vegetables that are packed with flavor and just waiting to pass their way through your hungry vegan lips. India is by far the easiest country that I have traveled in with regarding to food choices and it felt almost unfashionable to be a meat eater. Because of the incredible amount of cultural diversity in Singapore thanks to its European and Asian heritage, the range of food on offer here is incredible, vegan dishes included. Singapore truly caters for the World market and as such you don’t have to go very far at all before you find a vegan restaurant. So populous are the vegan restaurants that many of them even have their own style, Asian, Mediterranean etc. A far cry from when vegan restaurants were just a collection of animal-free dishes. The ital diet is followed by Rastafarians which is a vegetarian and more often than not, vegan way of life. Around 10% of the Jamaican population follow the Rastafarian movement and this has had a profound impact on the food choices in the Caribbean paradise. The bigger cities sin Jamaica provide a whole range of vegan dishes that are packed with flavor thanks to their tropical crops. The Ethiopian orthodox church is the home of most religious beliefs in Ethiopia. The religion prescribes that Wednesday and Friday will be meat free days and there are regular vegetarian fasts. Thanks to this religion, there is a wide range of animal-free products for you to choose from. Expect lots of lentils, pulses, grains, cereals and vegetables that have been coated in the delicious berbere sauce.